Glamour, creative freedom and all the beautiful people – who doesn’t want a career in fashion? Creating, developing and sustaining a profitable fashion business is extremely challenging; the market is highly competitive, the scene hard to navigate and the less-glamorous side – the actual demands of business – are easily neglected. Elizabeth Formosa (Cassar) has over 20 years experience in the fashion industry, from Senior Management roles in corporate and private companies to her very own fashion wholesale business. Buying, product development, sourcing, brand building, sales and marketing, training and mentoring are all skills she has honed to such a high level that she is now passing on her wisdom through her fashion-industry consultancy & mentoring business, Fashion Equipped. Included in your two-day Start Your Fashion Business registration is a complimentary two(2) hour one-on-one consultation* with Elizabeth. This is your opportunity to get tailored advice for your situation, business idea or designs. Elsewhere, this kind of specialist industry advice could set you back thousands of dollars; Elizabeth is committed to helping fashion start ups with the most relevant, cost-effective and proven advice available. Don't miss this 2 Day Weekend Workshop! 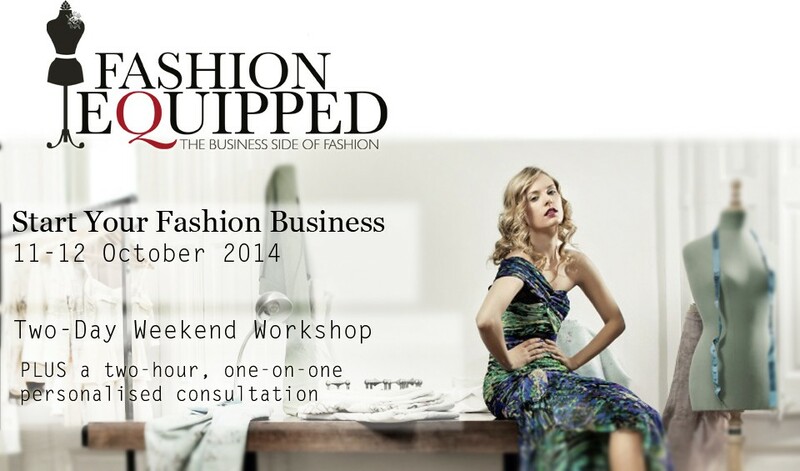 Contact info@fashionequipped.com.au to secure your Missy VIP offer.